I have used this on loads of occasions and my skin is very sensitive. This is brilliant, perfect colour results and when you can use with your own moisturizer it is a win win. This gradual face tanner is the best I have tried. Looked at others on the market and none compare. A lovely natural tanner which looks so good. Couldn’t be without it especially in the winter. I have a natural olive complexion that tans wonderfully in the summer (SPF permitting of course!) but turns a very sad shade in the winter months, which I hate. I have tried various 'fake tans' in the past but have found the varying shades of orange and caramel somewhat alarming.They totally live up to their 'fake' moniker! 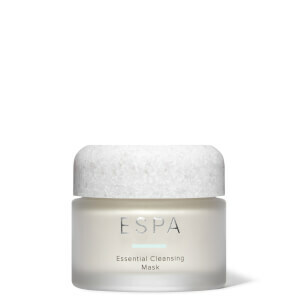 So with some trepidation and out of a desperate need to step into spring with a healthier glow I tried the Espa Gradual Tan Face Concentrate and can happily report that it lives up to its claims. I have tried both ways (mixing with serum/moisturiser or using straight) and I prefer the subtle glow achieved by mixing it with another product. It gives the skin a natural tone and sheen that I have not seen from other tanning products and depending how you use it and how often you can achieve the desired depth of colour. I prefer to use it once a day to give my skin a natural tan that does not then require full make-up. It works for me and I can thoroughly recommend it. I LOVE this product. The trick is definately "gently does it". Don't make the rookie error and lather it on. I apply just 1 pump after washing my face and before my normal moisturiser. Then tailor it to your look, Increase the amount slowly if you want to go darker. The result is a natural looking base tan which doesn't rub off during the day. It doesn't clog or block pores and it does let skin breath. Fabulous for a natural looking glow when you want go 'makeup free' or to enhance or prolong your summer tan. Great product to add natural colour to your face, can't be without it.